Facts, ideas, and images from the shoreline of science. Data at Notre Dame (gzipped down to 3.9MB, in the form: [from-id] space-separated-to-ids). Reference: Albert-László Barabási and Réka Albert (1999), “Emergence of scaling in random networks,” Science, 286: 509–512. Data in UCINET IV Datasets and in text form below (see also image above). Reference: R. Breiger (1974), “The duality of persons and groups,” Social Forces, 53(2): 181–190. Reference: Allison Davis, Burleigh Bradford Gardner, and Mary R. Gardner (1941), Deep South, University of Chicago Press. The Degree Diameter Problem for Bipartite Graphs. Number of bipartite graphs with n nodes. 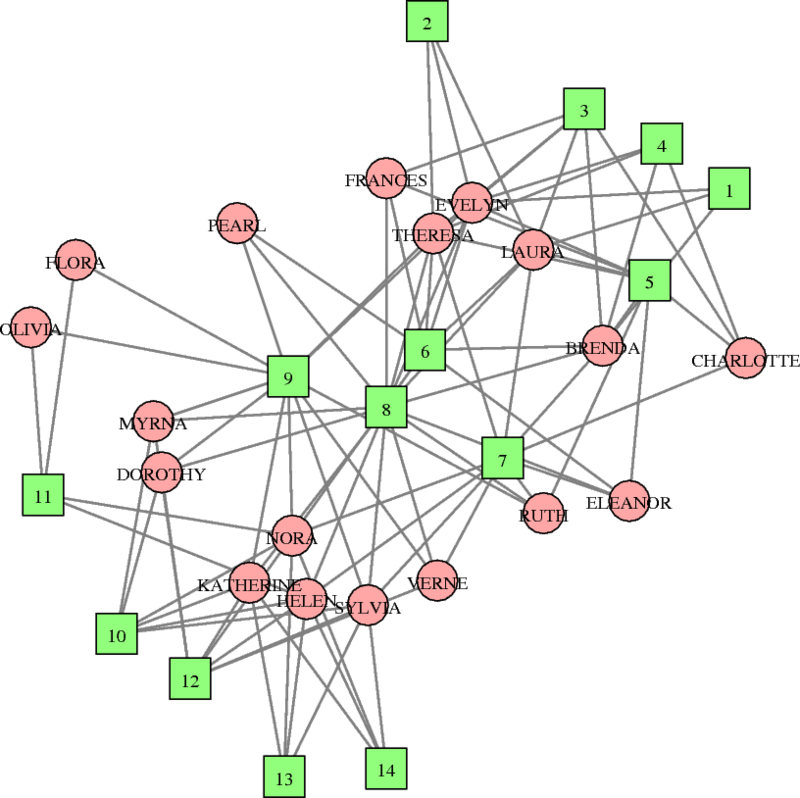 Number of connected bipartite graphs with n nodes. Matthieu Latapy, Clemence Magnien, and Nathalie Del Vecchio, Basic Notions for the Analysis of Large Affiliation Networks / Bipartite Graphs.